On this Saturday morning I am thinking cartoons so we’ve got The Flintstones Mailman Episode. 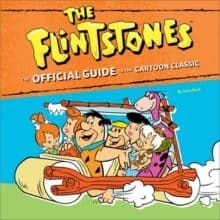 This particular episode of The Flintstones was selected for its obvious tie-in with letter writing here at AnchoredScraps.com. From what I read about the episode – The Mailman Cometh – it was a cartoon remake of a similar episode of The Honeymooners which aired on November 14, 1953. How amazing it is to see how coincidentally that episode was the title and topic of my May 9th blog post The Honeymooners Letter to the Boss. And get ready to hear him calling for “Wilma!” in this Opening and Closing Credits for The Flintstones. Here’s to a great Saturday – Yabba dabba doo!